Management of the payroll. Even if your business is small, managing payroll is still the largest function of an HR department. In the old days, the accounting department and the human resources department had to work together to ensure accuracy with raises, bonuses, sick leave and vacation time. I’ll gladly take care of all the vital details so there’s less headache on your part. Liability is decreased. If you get into a situation where an employee quits but has not used up vacation leave and you had not paid for those days, then you are liable for a lawsuit. However when you use me, it is in my hands to resolve the issue. Less expenses, more savings. Outsourcing HR for your company or business greatly reduces expenses by simply bundling your employees with all those from other small businesses. 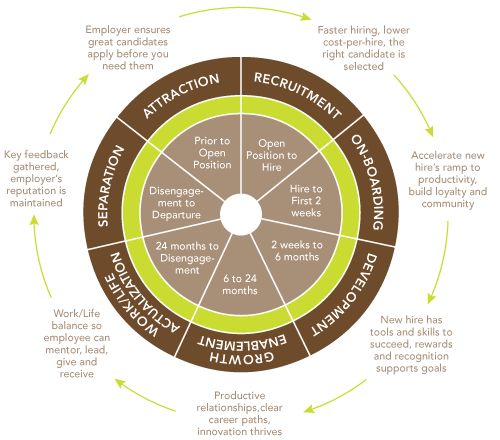 Doing so would greatly service more employees with a HR consultant. Andrea Beers Consulting is responsible for assisting clients with strategically integrating effective HR processes, programs and practices into their daily operations. My role is also to maximize the client's performance related to human resources by introducing "best practice" services as well as to provide periodic feedback to clients regarding their performance related to annual management objectives. To accomplish this, sometimes I need to perform needs assessments or audits and make recommendations or proposals, coordinate the creation and implementation of an action or corrective plan, and to assist the client with developing and implementing performance improvement corrective plans, programs or processes. Andrea Beers Consulting can work as an employment interviewer and human resource coordinator on behalf of your organization. I will work to develop and implement human resource techniques and strategies in order to meet your organization’s distinctive needs. I offer complete support throughout the entire employee life cycle, providing owners and managers executive coaching to stay the course.